Sofia the First: Ready to Be a Princess! As soon as the DVD arrived, Michaela was so super excited! You see, my little Mimi is Princess Sofia, her name that is! So, of course a Disney Princess with her namesake is something she goes gaga for. The movie has 5 episodes and it is a magical and adventurous journey that you join in on. Your favorite little princess-in-training returns for more music, majesty and magical fun, so get ready to have a ball with Sofia the First. Becoming royalty overnight is every girl’s dream, and Sofia is eager to prove she can be a true princess. Visit an enchanted circus, meet a pet dragon and soar through desert skies with Sofia and Amber on a magic carpet ride. But when their high-flying adventure veers off course, it’s special guest Princess Jasmine to the rescue with inspiring advice about trying new things, staying strong and trusting yourself. Sparkling with extraordinary songs, unforgettable characters and thrilling surprises, Ready to Be A Princess opens the door to a whole new world of kindness, helping others and being the best you can be. Ever since the show came it has been one of her favorites! She sat down and watched attentively and excitedly throughout the whole movie. I did mention there was 5 episodes and it lasted 112 minutes, right? What I loved about the movie was Sofia’s character in general, she is kind, funny, accepting and caring. 1. A Royal Mess– James gets into trouble when he breaks a stained glass window, Sofia covers for him and he is able to go to the Goldenwing Circus. She in turn, can’t! 2. The Sky Princess– Sofia befriends a quiet and shy Princess named Vivian. This is a very cute episode and there’s a dragon! 3. Blue Ribbon Bunny– Clover the Rabbit shows off his skills and talents! 4. The Princess Test– The Princesses attend the Royal Princess Academy and there they learn lots! 5. Two to Tangu– A very special person makes an appearance in this episode! Princess Jasmine and a magic carpet ride! Your Little Princess Will Love It! This movie came out on September 10th and you can get to know the New Girl in Crown! Disney illustrates perfectly how some certain situations can affect kids and how they can overcome them. It’s also a magical tale of a little girl who becomes a Princess overnight, imagine that! The DVD comes with a FREE Dress-Up Play Set with Wardrobe and of course what toddler doesn’t like to play dress-up? 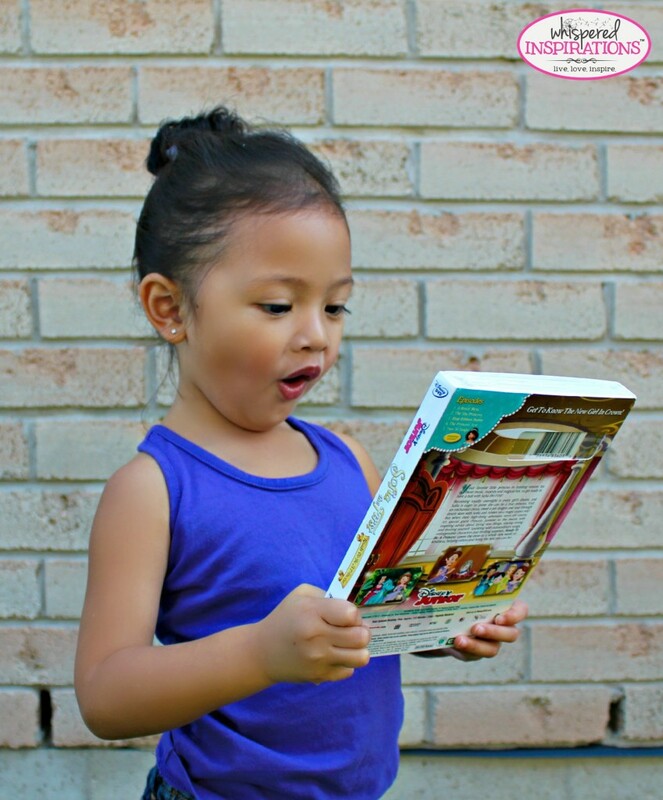 So, get your copy of Sofia the First: Ready to be a Princess (Bilingual) today! 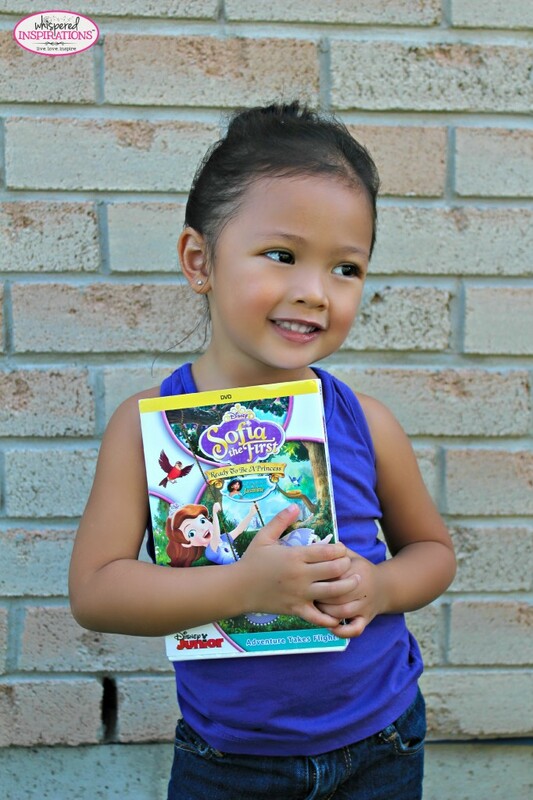 Do your kids love Sofia the First? Awe, so precious!! My girls love Sofia too, makes a great gift this Christmas!! It sure does! 🙂 Thanks! Looks like she really loves it! We've never seen Sophia here. It\’s fairly new but, the kids love her! What a great picture! She is so cute! I bet my niece would love this Disney movie! It is such a cute show! My boys love Sophia the first. I have no girls so no princesses around here. It\’s okay for Princes\’ too! 🙂 I like the show, it\’s so cute! My niece Sophia loves this show. I think I will be adding this to her Christmas gift this year. I don't have kids so I spoil my nieces and nephews! Your little one is SO adorable!!!! This is an adorable little movie the kids love it ! 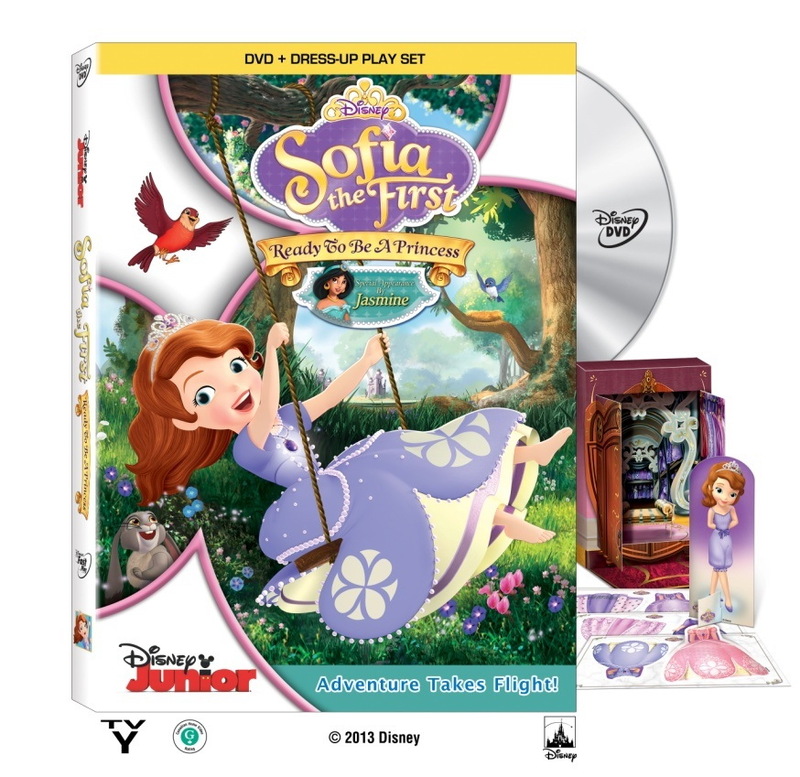 Sofia is such a cute movie,my granddaughter after watching it for years finally out grew it! My youngest daughter still watches it from time to time! Hiya Nancy,my granddaughter still watches this show from time to time. Your daughter is adorable ! Thanks! She loves Sofia the first!